I've put somewhere around 70 hours into the PC version of Phantasy Star Online 2. Despite being free to play, it's a fun and complex multiplayer title that's been getting a steady stream of updates since release. Having played since the Japanese beta, I was excited to finally get a chance to check out the PS Vita version of the game, due for release early next year in Japan. 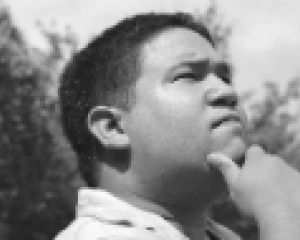 For those of you unaware, PSO2 for the Vita is the full PC game, except playable on Sony's little powerhouse of a machine. Fortunately for me, the lines were incredibly short on the first day of Tokyo Game Show and I was able to get into the demo area after waiting a brief ten minutes. I sat down with three other gentlemen who also had experience playing PSO2, and we dived right into the demo. 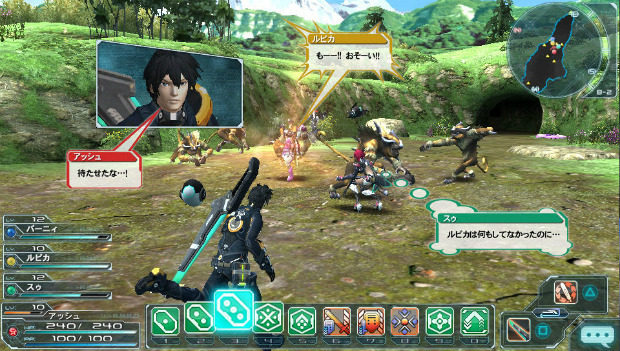 Much to my surprise, Phantasy Star Online 2 feels like it was made for the Vita. The last time Phantasy Star Online 2 was shown in any capacity was during the Vita Game Heaven online event back in March. At the time, it was in an early state and the frame rate was an absolute mess. Half a year later and any concerns I had about the stability of PSO2 have been thrown out the window. Sega has done a miraculous job of replicating the PC version of the game. The demo had us select our race and class right off the bat from a list of preconfigured characters. I decided to roll with a Cast ranger, proficient at long-range projectile combat. The demo mission had us exploring the first area of the game, a dense forest filled with wolf monsters, flying creatures and giant apes. I was immediately struck by how clean the visuals were despite the game running at what seemed to be a fairly stable 30 frames per second. There was some minor slowdown when giant monsters were on the screen, but it was never intrusive or distracting. While the actual level of detail on the environments and characters was a bit lower than what I'm used to on the PC, it still looked great on the OLED screen. 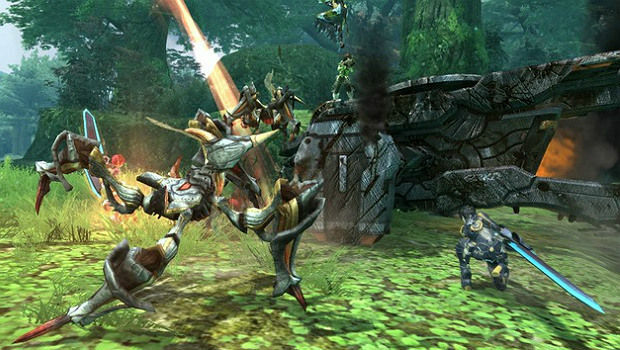 As a Vita title, there's no denying that Phantasy Star Online 2 looks great. Combat is as simple and fun as ever, with the square and triangle buttons assigned to your basic and secondary fire, respectively. Phantasy Star Online 2's combat relies heavily on timing and rhythm, with a colored circle that closes in your character after every strike. Hitting the attack button at the right time will result in the chance to continue your combo and build up more energy for your skills. As in the PC version, skills and items are lined up in the row at the bottom of the screen. Instead of using a mouse to select from the various options, you can simply tap the icons directly with your finger. For the most part, the system works well, but every now and then I'd have to tap an icon multiple times because of how small it was. The d-pad is regulated to various hot key options that I was told you'd be able to customize as you like. As me and my companions proceeded through the demo mission, I was taken aback by how smoothly the multiplayer ran, with nothing noticeable in the way of lag. This was especially impressive during the boss encounter, a battle with a giant rockbear and several ape monsters. While putting down the beast was a cinch since the four of us had clearly defeated the creature dozens of times on the PC, playing it on the Vita felt like a new experience. After beating the Rockbear, the demo ended and we were herded out of the booth. Before leaving, I confirmed with a Sega representative that you'd be able to use the same character across all three versions of the game. I was a bit concerned that Phantasy Star Online 2 for the Vita would be a throwaway project, but as it stands I'm convinced they know what they're doing with this port. The fact that it will be a free download when it releases next year is even better, and one can only hope that Sega confirms a western release for this version.